Customer Success as an idea was (re)born in the software industry in about 2014. This industry is honing the skills and tactics needed to use Customer Success to drive increased revenue and profit. The good news for everyone else is that you can make use of the those skills and approaches to lift revenue and profit in your business. This is an introduction to Customer Success so let’s start at the beginning. 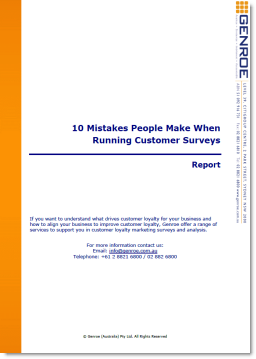 How many of your customers are you losing? Customer Success is the function at a company responsible for managing the technical and business relationships between a vendor and its customers with the intent of: (1) maximizing the value that customers derive from the solutions they acquired from the vendor by making them as profitable and productive as possible, and (2) maximizing the value the vendor can in turn create from the customers resulting in sustainable corporate good profits and growth. Customer Success is helping customers to drive the greatest value from your products and services so they stay longer and buy more. This hits two of the only three ways to increase customer value. Google searches for “Customer Success”: growing rapidly in the last two years. Okay let’s step back a bit to understand why it’s a big deal for software companies? Largely it is because, increasingly, developers do not sell standalone software packages with big upfront costs and small (or no) maintenance fees. Instead they sell Software as a Service (SaaS) where you pay a smaller amount each month for access to the software. This is an important trend. Just think about the number of applications you (or your company) already rent month to month: Salesforce, Office 365, Google Apps for Work, etc. and that list is only going to get longer. This change has had enormous ramifications for the software industry. No longer can they sell a piece of software, pocket a big chunk of revenue and provide lousy support. Suddenly the idea of keeping customers happy long term becomes very important because the value of a sale is no longer a spike at the time the software is installed but a slow burn over months and years. In fact if customers leave after only 6 months or a year many software companies will not even make back the cost of acquiring those customers. Now if you’re in any type of banking, telecommunications, or other on-going relationship B2C business the idea that you want to keep customers as long as possible is probably well known. Telcos have had “churn teams” for many years. However, many other organizations (in particular B2B companies) have not had the same focus on these ideas. It is these companies that can leverage a lot of the Customer Success tools and techniques that the software industry are creating to drive value in their businesses. So you should be looking at what the Customer Success industry is generating and apply it directly to your business to maximize your growth and profitability. The value of Customer Success can be estimated by looking at Life Time Value calculations for your business and how they are impacted by improvements in retention rate and up/cross sell. Small changes in these variables of Customer Success can have large changes in business outcomes. Below is a simple example of a company and the benefits of that a focus on Customer Success can bring. Here we have looked at improving customer retention rates. Simply moving from a customer loss rate of 1 in 6 (~85% retention rate) per year to 1 in 10 (90% retention rate) per year lifts customer value by 18%. Put another way, this single change will lift company gross margin by a massive 18%, without making one more sale. Download this calculator and estimate the value for your own business. The first few days and weeks of any relationship are the most volatile and so it is with your new customers. They customer needs to learn how your business and systems work. If it’s too hard they may leave quickly so you have to make it easy. On-boarding and product adoption is the process of educating the customer on how to most effectively use the product or service that you provide. It could include training, documentation, tutorials, re-designing the product to make it easier to use, etc. This is the disarmingly simple idea that you should stay engaged with your customers, ensure that they’re happy and fix any problems they have. Odd, I know. Collect feedback from your customers: This is generally done via a survey (Net Promoter or other) of all levels of the organisation. Selling to existing clients is often the easiest sale to make and Customer Success drives substantial business value from this approach. Upsell is selling more of the same, think increasing credit card limits at a bank or adding more users to an existing system for a software company. Cross selling is selling new products and services to the same customer, e.g. mortgages to credit card customers. Have you starting using the term Customer Success to describe new processes and approaches in your business? How successful have you been and what have been the hurdles? Thanks Adam…this was simple yet insightful. Thanks — I intend to write some more detailed posts on Customer Success in the future but decided it was best to start with the basics. If you have any topics you’d like to hear about let me know in the comments.